If you are looking for information on the UHelp USave Remodeling franchise business opportunity, UHelp USave Remodeling franchises or UHelp USave Remodeling franchising, then you have come to the right place. What is UHelp USave Remodeling? Most importantly UHelp USave Remodeling saves consumers money. The more they help, the more they save! 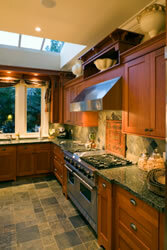 We provide a safe environment, in which customers can help even if they have no remodeling experience or skills. Depending on the scope of the project, and level of skill, customers can assist with anything from buying materials, cleaning up, or making supply runs, to framing, painting, installing insulation, and more. Customers can help as little or as much as they like. The more they help, the more they save! Your UHelp USave Remodeling franchise represents a unique business opportunity: the chance to increase your existing remodeling business or the opportunity for a builder to expand into remodeling. We believe this is a great long-term business model, because consumers will always want great value. That's why your initial franchise investment and flat monthly fee is modest, and it won't increase as quickly as your business does. 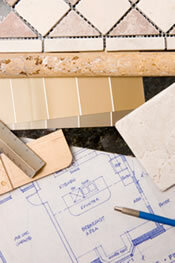 As you know, on larger home remodeling projects like basements and kitchens, most consumers get multiple bids. Our UHelp USave Remodeling options give you the ability to win more of these larger jobs. The consumer will quickly realize they can save the most money with UHelp USave because they're in charge of the amount they help - and save - on the project. One of our corporate objectives is to be the fastest growing franchise this year. We want franchise owners who are ready to grow their business by tapping into our marketing expertise. Our aggressive and dynamic marketing will put you in front of more customers. We also plan to offer supplementary franchise services under the UHelp USave brand. UHelp USave is a concept that is applicable to other areas besides remodeling, including painting, landscaping, and interior design. As an existing franchise owner, you'll have the right of first refusal for these new services - at a significant discounted rate. Once you've used our marketing materials to successfully earn new business, you have to be ready and willing to work with people. The entire business model is built on having consumer help while saving money. The result will be satisfied customers who will refer more business to you! UHelp USave is the first and only provider of this business concept for the consumer who wants to help and save money! Learn more about how we will help you earn business through a detailed and comprehensive marketing program and sales support.